Distinctly French, the scents from Diptyque are simply unrivaled. 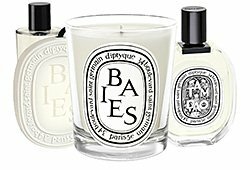 Browse our complete list of the best Diptyque products. 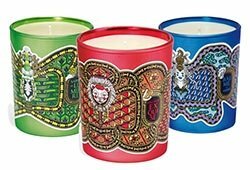 Burning a Diptyque Candle is an unparalleled experience from a visionary and passionate perfumer. Each personal fragrance and home fragrance is marked by a singular, distinctive olfactory signature. Made with the most beautiful raw materials, the creations express themselves beyond the beaten paths to the delight of both the faithful followers and the well-informed amateurs. The candles, ovals, eaux de toilette and bath and body products make up the various chapters of an unending adventure recounted through the tales of an imaginary traveler whose memories thrive on landscapes and flowers, herbs and spices, exotic gardens and far-away horizons.